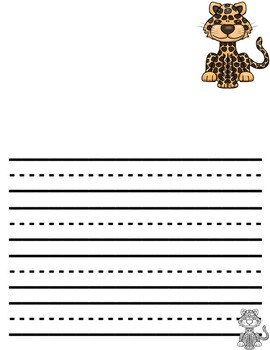 This is a pack of 26 pages of 1 inch writing paper. This is 4 line paper with 1/2 page drawing space. 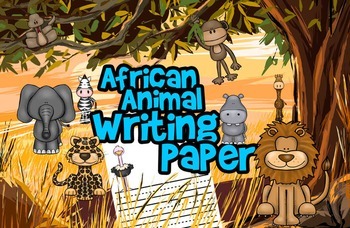 Each page has an African animal. 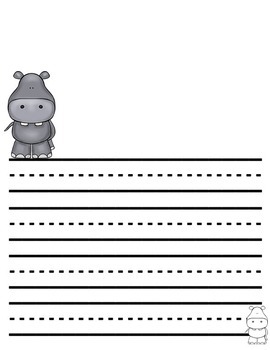 A black-line and color version is included of each animal. There is only one image in each drawing space and one at the end of the writing space to leave plenty of room for writing and drawing. 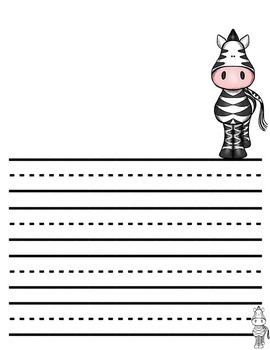 For classes working on an Africa or animal theme, this is a perfect way to keep students engaged!